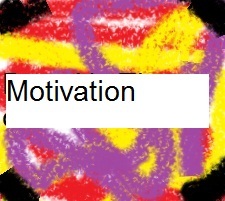 Motivation has a strong influence on how well you do your job. Students often develop a "Slave Mentality." That is, they see themselves performing tasks which are required by their teachers but which are utterly meaningless to them. In contrast, the students who see how their schoolwork fits into their plans for themselves become willing workers. It is quite true that "you can do anything you want to do" because wanting makes the necessary work easy. Determination to work does not mean the same as motivation. "Will Power" will not work over a lengthy period of time. You can force yourself on occasion, but there are definite limits to the success of such an approach.